Mainframe listings display on ever major website, and hundreds of smaller sites. 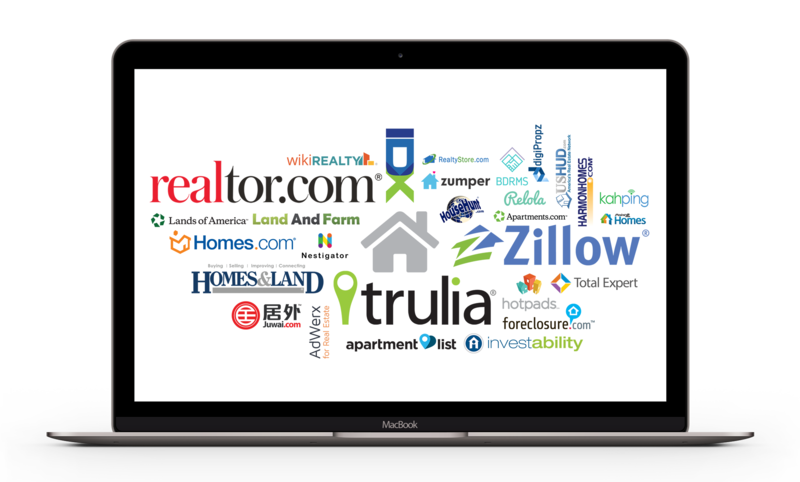 Syndicaton to over 90 major real estate websites. Syndicaton to thousands of brokerage websites. Updates to your listing are automatically distributed throughout the syndicate. Through Florida Advantage MLS, our listngs are accessible to most agents state wide. Almost every buyer or renter will start their property search online, and there is no telling exactly which site they will be on. That’s why maximum exposure is crucial when marketing a property for sale or rent. Syndication of MLS listings to hundreds of websites is not a built-in feature that all real estate agents have. Mainframe Real Estate uses the most sophisticated channels of distributing and keeping listings updated across the internet.